I feel like it's been a week of wonderful discovery of technology + weddings. It's sort of funny, that my mom still has the camera she used at my sisters wedding in 1995 that takes film and here we are with apps that let you upload photos you take at someones wedding almost instantly. Crazy how far we've come? Anyway - in the latest, most awesome app - Appy Couple is here to be your BFF for your wedding photos, planning and ease of use. Couples are looking for a way to share their wedding with family, friends and guests. Until Appy Couple, their only option has been to patch together a disjointed solution from a fragmented marketplace of: DIY Websites • Mobile and Web Albums • Social Networks • Email Invitations. Appy Couple for iPad® iPhone® Android ™ and Web is available now by invitation only at:www.appycouple.com. It’s free for couples until Fall 2012; the app will always be free for wedding guests. makes it easy, fun and beautiful to be mobile. Having played with the app for a while, I must say - it's super easy to maneuver and fun to work with. Wanna check out the site I made? Click here for it - web site. The days of constantly having to remind guests and even bridal party members of all things wedding are really behind us. Technology sometimes makes things more complicated - but this app seems to simplify it. Couples begin by creating their site and app - to make it easier, you can do it via the web. 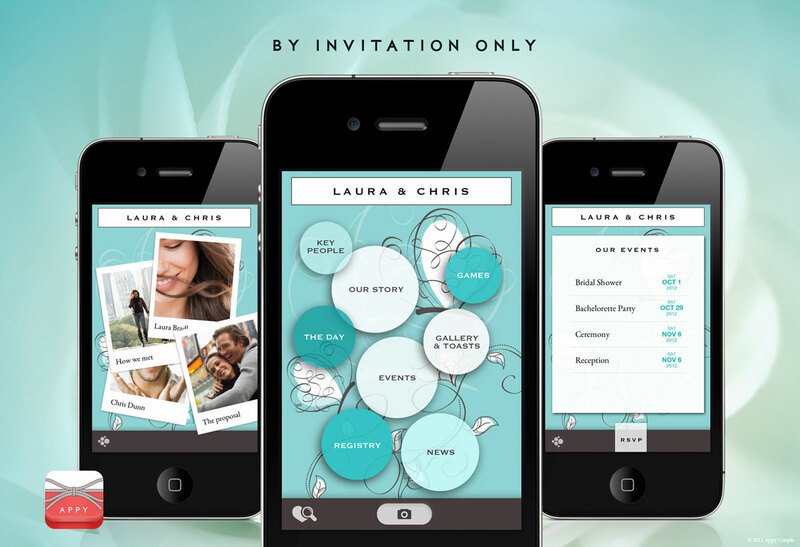 They can set a theme (and tone) for the wedding by selecting from the different backgrounds and themes the app has to offer. On the site, a couple can include the story of how they met, engagement photos and special songs. A free coordinating Web site included with each custom app displays the same content as the app, and can be used by guests who don’t have a smartphone, like Great, Great Aunt Joan. Once the app has been created, the couple can enter their guest list manually or upload it from a spreadsheet, and invite family and friends to access the app for free, using a special code. Each guest will then have access to information, including wedding events, dates, locations, travel accommodations and last-minute changes. There is also a privacy function that allows the bride and bridegroom to select certain guests, like members of the bridal party, to receive private messages. All of the content - including messages and photos - can be streamed live, for example, for those who cannot attend the wedding. Or for the bride/groom who may want to see how the guests are enjoying their wedding at that actual moment. Appy Couple is still in private beta and has already been used by thousands of couples, both nationally and internationally. For now, it’s free, but invitation-only. Appy Couple expects to begin its pay model this fall. There will be a onetime charge for the app and free unlimited app downloads for wedding guests. 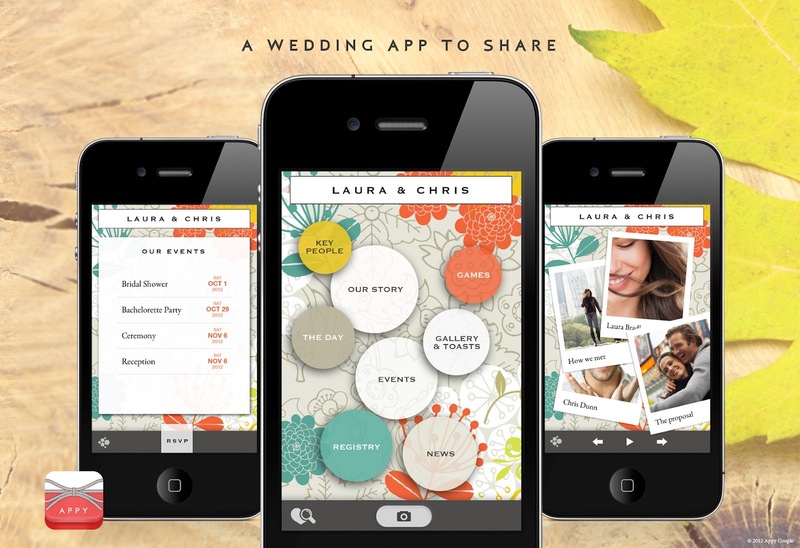 The app will always be free for wedding guests. A handful of readers can now get access to this awesome app. Leave a comment (with email address) and let me know why you should gain access. Hurry. This only will last for a week! This app is so cool! Thanks for making a test site! Also thanks for the free promo. That takes yet another to-do off of the list! oh no, is it too late for the free promo? this app looks pretty useful and i can use all the help i can get!